Despite being quite quiet on the blog for a while (probably too long) I have recently been mulling a few things over about the future of, purpose and direction of television Egyptology. Television documentaries have been without doubt the impetus for many young students in their pursuit of academic study; however, there are still some members of the academy which see this variety of public engagement beneath them. Why is this so? Also what can we learn from other disciplines in respect to this field? Fronted by the imperious Dr Zahi Hawass, the Docu-drama series “Chasing Mummies” (2010) shown on the History Channel perhaps characterises the fears of many academics. Despite being placed upon the shoulders of the then Head of the SCA, the show came across as a pastiche, with Hawass appearing as the Egyptological equivalent of pantomime character- spontaneously losing his temper when the moment required. Whilst this show enabled many to view parts of sites which are strictly out of bounds, the performative aspects of this show undermined this greatly. Dr Hawass has appeared on many documentaries, clearly grasping an opportunity to raise the profile of Egypt and Egyptology. Despite any personal opinions or judgements on his discernment, it would be puerile to suggest that his appearances on such shows did not at least raise some awareness. Despite the desire for elements of drama within shows, the sense of foreboding held by a number of academics when asked to contribute to documentaries is that their input will be edited and misused. We are all aware of the pseudoscientific and downright outlandish theories proposed by a number of sensationalist researchers and programs out there. For example; “Ancient Aliens” which has recently been approved for another series, has now clocked 51 episodes -Erich Von Däniken must be ecstatic! There will always be the programs such as the 2007 “Paranormal Egypt” with Derek Acorah (and his spirit guide Sam) who theatrically worked out that Khufu built the Great Pyramid via apparently manifest spiritual powers- mysterious! However, the real problem here is clear. These programs which show little positive interaction with evidence and research or indeed an active rejection of logic, are held in the same esteem by the production companies and thus by the audience themselves. In the recent years, we have seen an increase in the breadth and quality of scientific programs on the BBC, not only in long standing formats such as Horizon but also in the three “Wonders of…” series presented by Prof Brian Cox, the recent “Genius of Invention” group of episodes and also in shorter shows such as “BANG goes the theory” and the inventive “Stargazing Live”. These programs are helping to explain big theories and research and are managing to maintain viewership and levels of entertainment. Whilst Brian Cox is utilising impressive vistas and a gift of enthusiastic explanation where does Ancient History and Egyptology stand in this shift in documentary style? Let’s take “Meet the Romans with Mary Beard” (2012) as a good example of how an evidence based documentary of the Ancient world can work. This three part series attracted on average around 2,000,000 viewers per episode, with episodes 1 and 3 charting at 9 and 6 in the most watched programs on BBC 2 during those weeks. Fundamentally this was a series focussed on Roman epigraphy- not everyone’s favourite topic, and in the wrong hands very dry. Despite the venomous reaction of A A Gill who chose to avoid any academic rigour and instead focussed on being childishly misogynistic, the knowledgeable enthusiasm of Prof. Beard was infectious, there was no talking down to the audience and the episodes showed an active commitment to the evidence and scholarly engagement. Similarly, in the past few weeks (coinciding with the British Museum exhibition) there have been a number of programs on Pompeii and Herculanaeum addressing specific, evidence-based issues with these sites. 1) A presenter who has enthusiasm but who is not hyperactive in this enthusiasm. The most recent Egyptological program on our screens was the two-part “Ancient Egypt: Life and Death in the Valley of the Kings” presented by Dr Joann Fletcher. When looking at viewing figures the first episode “Life” attracted 2,296,000 viewers- the highest of any Ancient History programs discussed here. The shows looked at the rather brilliant corpus of the funerary material of Kha and Meryt (Kept in the Museo Eigizio Torino). The episodes had moments of insight- the section showing how tombs were measure and marked up, and the creation of colours from ocre being particularly memorable. However, this also had parts where it fell behind some of the other documentaries academically. For example: “This is my favourite pharaoh”. It covered much ground seen before in Dr Fletcher and Terry Jones’ “The Hidden History of Egypt” (2002) minus the set pieces following Jones in Egyptian dress. The aim of the show is to tell everyone more about “everyday Egyptian people”– Academic arguments over what “normal” and “everyday” mean in the contsxt od Deir el-Medina aside, I could not agree more with this motive, Egyptians were real people with real lives, not cardboard cut-outs. However, the narration of the documentary seemed far more concerned with Dr Fletcher’s personal feelings towards tombs etc and visually with establishing shots of her replete with umbrella. (See: http://www.thestar.co.uk/news/video-south-yorks-tv-star-joann-is-queen-of-egypt-1-5501139). If this had been more focussed, would more have been achieved? Here lies the cusp of what has been bothering me. Where should we draw the line between a documentary introducing entry level concepts, evidence and when should we draw focus to the presenter? BBC Commissioning Editor Charlotte Moore states that the idea is the most important factor, the “credible author” (presenter) comes second. Furthermore, she questions each idea of whether it could have been done at any time in the last 10 years as the BBC would like to reflect contemporary insights and to challenge preconceptions about the subjects dealt with. (See: www.bbc.co.uk/commissioning/briefs/tv/browse-by-genre/documentaries/)The BBC Commissioning Editor for History and Business, Martin Davids describes their documentaries as “first drafts of history” and focusses his attention on a balance of “emotional intelligence, passion and scholarship”. So what have we been getting when it comes to Television Egyptology and what should we expect? Egyptology has been hit and miss, whilst one program will follow an evidence based approach and assess a research question in a new and innovative manner, others have clearly missed the balance between presenter narrative and evidence in context. Egyptology does not appear to be moving with the rest of academia in the level of public engagement by television insofar as the programs produced are often focussed on base level narrative and false drama with artefacts and text thrown in as bonuses. Following the line suggested for science reporting by Dr Ben Goldacre (www.badscience.net) perhaps we need to focus on the evidence more a lá “Meet the Romans”. Television is a massive way of educating people and teaching them about our discipline, which is not being utilised by the powerful members of the Academy in this country. As times become financially more demanding, developing a public profile for Egyptology is more important than ever before. Classics, Ancient History and Science appear to have gotten to grips with this factor, however, from speaking to a number of Egyptologists in the past, TV work is seen as poison chalice, whereby you may be made to look silly or your reputation damaged. Have Prof Brian Cox or Prof Mary Beard suffered from their excursions into television? No. There will always be academic argument and there will always be proponents of wild and unfounded views, these are to be expected. If we can allow ourselves to be clear and not talk down to people, whilst maintaining viewership (By ratings alone, it is clear that Egyptology is a big draw) then how many new Egyptologists could we attract? Egyptology could be pitching plentiful programs, based on our research and development of the discipline as a whole, rather than more introductory programs. The BBC among other stations could be doing more for the discipline as indicated by the work of BBC4. I for one would be more than happy to be the inspiration for someone to study Egyptology and if my method of doing so was presenting a TV documentary dealing with evidence and not narrative than I would be happier still. I look forward to seeing what everyone else thinks about the future of Egyptological TV engagement. The first session consisted of Luigi Prada (Oxford) discussing his work on Roman Demotic Literary Papyri, following on from his work collecting the many manuscripts he is now engaged in the task of translating them, in his paper he focussed on the addition of diacritic marks in certain verbal constructions particularly the third future. He was followed by the first Liverpool graduate of the day Jenny Cromwell (Macquarie, Syndey) discussing her work on Coptic texts from the early Islamic period, and the Bigraphism therein. Bigraphism is the use of two languages, Coptic and Greek in this case, in the same document interchangeably. Bigraphism is (more accurately) the use of two scripts, within the same document, this is done with clear intention and in this case with Greek and Coptic. Followed by a coffee break, the next session was to be started by Rune Nyord (Cambridge). His paper was an interesting take on the concept of Ka within Ancient Egyptian thought. His analysis was informed by philosophy and linguistics as well as a study of Egyptian Religion- leading to a Hypothesis that a number of concepts may exist until one is selected for the situation and actualised. A neat thought experiment I think you’ll agree. Alys Cox (UCL) who is also speaking at ICYE, Sofia in a few weeks. She spoke eloquently on the concept of narratology in Middle and Late Egyptian tales, choosing to focus on the differing styles of narration within these texts. The final speaker of the morning was the Edwards Professor of Egyptology John Tait (UCL) who spoke about the written structure of Demotic literature and the implications for Oral performance of these texts. After a lunch brilliantly organised by Amy and Sian we were ready for the afternoon sessions. The afternoon was opened by Kathryn Piquette of Freie Universitat Berlin. Her paper focussed on an Early dynastic inscribed vessel kept in the Worlds Museum Liverpool (NML 1977-112-29), it came from the collection of Col. Danson. The inscription was enhanced by the RTI- Reflectance Transformation Imaging, taken by Dr Piquette. This method showed the intense detail and working put into creating such a text in such material, also highlighting the information that may be gathered using such a methodology. Richard Parkinson (British Museum) discussed two issues. Firstly, the challenges of publishing Papyri kept in the British Museum and in Berlin. He spoke about the importance of proper publication of Hieratic documents so that they may be directly accessed by the student and the researcher. The second issue was the method of textual commentary currently employed by Egyptologists. He argued, and I am inclined to agree given my experience reading Egyptian texts, that we have separated the text from its reality in Ancient Egypt. Suggesting that the commentary should follow small sections and that pictures are not only reserved for children’s books. The understanding of these texts would then be immensely improved. ( “The Tale of the Eloquent Peasant: A Reader’s Commentary”, Lingua Aegyptia Studia Monographica 10, is out now). Before the last coffee break, Angela McDonald (Glasgow) spoke about the so-called “Letters to the dead”. After a wider study of texts which may be called “letters”/appeals to the dead. In this detailed study, a few eccentricities of the writing on these artefacts. For example the unusual spiral of writing, the flipping of signs and flattery through choice of signs. Through a close examination of these long known texts thus carry clever implications of the ritual practices associated with these artefacts. My doctoral supervisor Roland Enmarch (Liverpool) spoke about his field work with Ian Shaw. His fieldwork is focussed on the inscriptions and graffiti in the travertine (Egyptian Alabaster) quarry at Hatnub. This paper discussed the preliminary findings of their survey, including the current destruction of these monuments. Overall, the 5 is to be held in Oxford in May next year. Throughout my studies in Egyptology, I have always been fascinated with the beliefs and religion of those whose lives are preserved in the artefacts I was focussed on. It is clear that though there was no Dogma or Pharaonic Papacy stating the “official/state” line in Religion, the religious understandings of the society may be inferred from the evidence available. However, as we may only gain an understanding of small groups of people or of the ideology of a specific location/time period, then the larger questions are often left unanswered. The language of the study of religion is complex and nuanced, this post aims to explain a few of these points so that the conclusions and discussions about the wider view of Ancient Egyptian Religion is more accessible. – The first point to be made is the difference between Theistic and Deistic religions. Theism is based upon the premise that the world has a creator (a god/gods) who interacts with the world in the present. Deism on the other hand presumes that though the world has a creator, that creator does not intervene. Deism is a relatively modern concept (at least when called Deism anyway) first discussed in the 1600s by such writers as David Hume and Thomas Paine. Within Ancient Egypt, we are focussed on a Theistic religion. Both necessities for this are fulfilled, 1) there is a creator (there are a number of creation myths) and 2) those creators interact with the world, this includes control of nature based on human action as well as direct interaction. 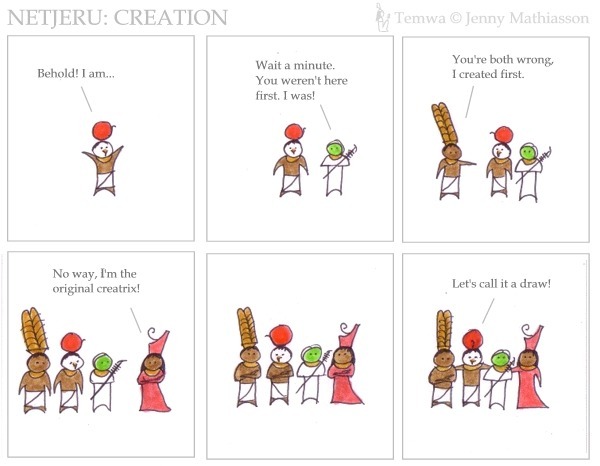 Syncretism- The mixing of a number of ideas or systems to create a single one. The possibility of defining the Ancient Egyptian Belief system is a complicated one. As I have said previously, one may only infer the true bigger picture as in no text do the Ancient Egyptians spell it out for us. Where did we get our Museum collections from? Recently, I have started volunteering at the Worlds Museum Liverpool, working closely with Dr Ashley Cooke (the Curator of the Egyptian Antiquities) helping to catalogue and repackage some of the artefacts keptt here so that a searchable online catalogue may be produced. It is fascinating work and as an Egyptologist it is a great experience to see such a wide variety of objects close-up and to have some input into such a piece of work/research. Anyway, one topic that has come up in discussion with Dr Cooke is the amount of forgeries/fakes kept within museum collections. Another related topic is that of the Antiquities market as it is only through the completed sales of Auction houses that curators can get an idea of worth of an object for insurance purposes. I am fascinated by the side of Antiquities which we all like to put out of our mind, the bits we would like to forget about, so this is what I want to discuss briefly in this post; where did we get our collections from? First, we must take ourselves back to the time when individuals would collect anything and everything from everywhere, and it was still legal to take things out of Egypt. Due to this, many … in fact scratch that, ALL museum collections were built up by private collectors; these collections were supplemented by sales and the sponsorship of archaeological digs. People always collect objects, things which fascinate us we horde. Hence, looking at most museums the collections were built up by a single collector or numerous smaller collectors which have then been donated or bought by the museum organisation. For example: The Worlds Museum is founded on the Collection of gold and silversmith Joseph Mayer, other collector’s items which have made their way into this collection include items from the writer Sir H. Rider Haggard, Florence Nightingale and a number of other locals. Though we now see this sort of private collection as taboo, at the time this was not an issue, also, collecting was not nearly as destructive as Mummy parties in which a mummy was unwrapped in the parlour and then broken up as mementos for the guests. To add to collections museums have been known to acquire artefacts from other museums as well as private individuals, we would love to think that the antiquities market is dead; however, there is STILL a big market for all things ancient. This is legal; as if the objects left Egypt legally they may still be sold, much like the way fur is treated by the law. If we also add eBay to the list of Christies, Sotherby’s and other auction houses then it is not exactly taboo. There is also no doubt some black market work going on as well. All varieties of object are bought and sold for high amounts; the one thing you see only very rarely is mummies. By being on an open market there is potential for artefact destruction and misuse as well as a high possibility for fakes and forgeries to be present. The buying, selling, collecting and trade of antiquities is still a live market , despite the increasing pressure against the practice and increasing taboo of the past practices. My abiding thought is that we need to think carefully about the objects we look at in our museums, as not only are they snapshots of an ancient civilisation but they have also gained their own history within modern times. So, this week I have been very busy. I think I have realised that the laws thermodynamics apply to my desk and the shelves around it, as I seem to be collecting more and more bits of paper and folders! Desk entropy is obviously a real phenomenon (http://www.phdcomics.com/comics/archive.php?comicid=575). That said, everything is going fairly well. I am now well under way with the translation of a lot of the original sources I will be using for my thesis, these include the Late Egyptian Miscellanies, Late Egyptian Stories, Penitential Stelae, Late Ramesside Letters, The Qadesh poem, and much more to come. As I am coming to the end of my 1st academic year then I am also beginning to look towards completing my first piece of writing proper. I must say this is both exciting and also rather scary, no-one wants to read a boring article and I definitely don’t want to read my own writing and think that either. In the very near future I will be presenting a paper at CRE xiii entitled “Coping with Uncertainty: the Use of Faith in New Kingdom Egypt” I am also in the midst of writing another abstract for the International Conference of Young Egyptologists, I am also attempting to create a personal database of the texts I have translated so that they may be searched lexically. Anyway, that gives you a little snapshot into what I’ve been up to in my PhD studies. I will keep you all updated and maybe try and write a longer, more focussed post in a week or so. This is the first of many Texts from Ancient Egypt that I will post on here in translation. They will probably gravitate towards the research I am performing on personal religion. 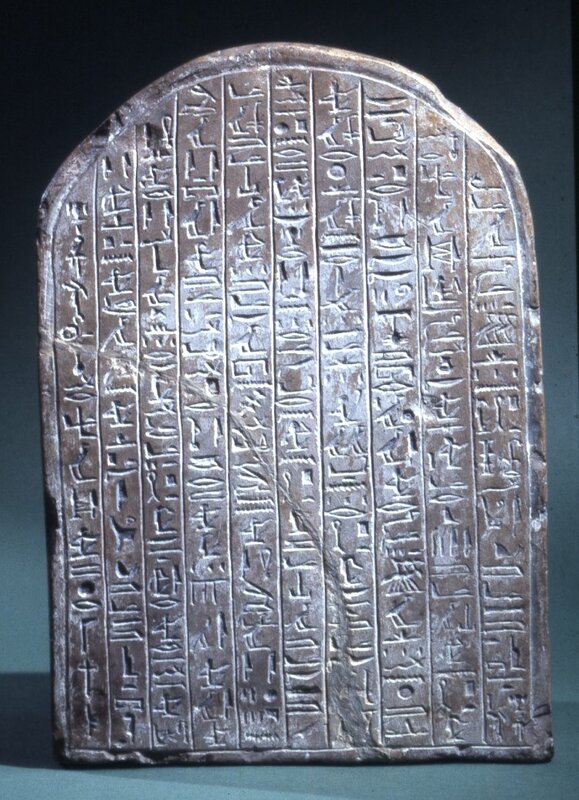 This text comes from an inscribed stela from Deir el-Medina, and details Neferabu’s experience of the divine punishment of Ptah. 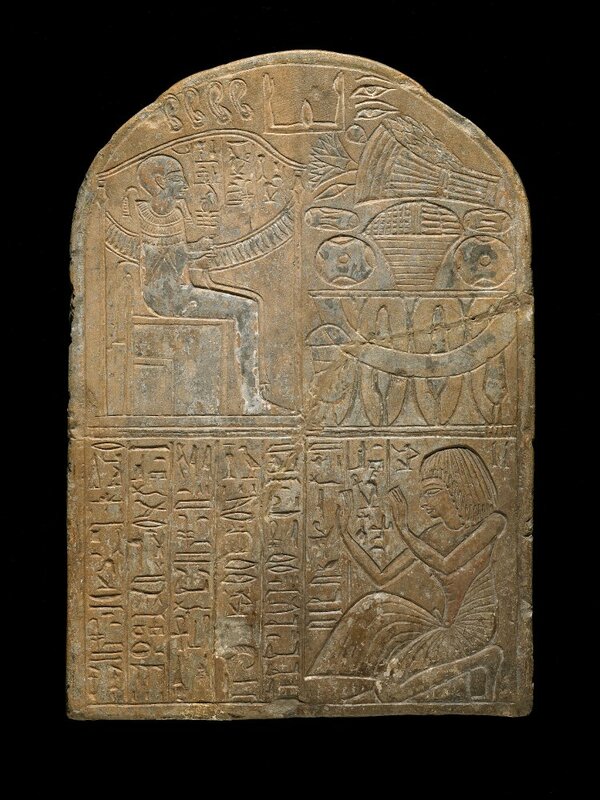 This stela, BM EA 589, forms part of the “personal piety” corpus of the New Kingdom and dates from around the time of Ramesses II. It is also unusual for the fact that it is inscribed with text on both sides. The beginning of the recital of the power of Ptah, of his south wall, by the servant in the place of truth in the west of Thebes, Neferabu, the justified. “I am a man who swore falsely by Ptah, Lord of Truth- he caused me say darkness by day. to the small and the great! Beware of Ptah, Lord of Truth! avoid swearing on the name of Ptah in falsehood. my being in his hand. He caused men and gods to look upon me as a man who has transgressed against his lord. Ptah, Lord of Truth was true against me, as he taught me a lesson. By the servant in the Place of Truth in the west of Thebes, Neferabu, the justified before the great god. This text is interesting for a few reasons. First of all, it discusses the divine punishment of an individual. From the text it appears that through taking a false oath, Neferabu is punished by Ptah. This punishment takes the form of “seeing darkness by day”, whether this means temporary blindness or a lack of divine presence is up to questioning. Language wise there are also a number of illuminating points. 1) there is a fantastic pun of iway n iwyt(the dogs in the street) 2) Ptah has “taught me a lesson” works in a modern an ancient sense and 3) “my being in his hand” is written in a sense of possession and control, in the Teaching of Amenemope it also says that one should not “make fun of a man who is in the hand of god”. Galan, J.M. (1999), ‘Seeing Darkness’, Chronique D’Égypte, 74, 18-30. Baines, J. and Frood, E. (2011), ‘Piety, Change and Display in the New Kingdom’, in M.A. and Snape Collier, S.R. (ed. ), Ramesside Studies in Honour of K.A. Kitchen; Bolton: Rutherford Press, 1-18. Borghouts, J.L. (1982), ‘Divine Intervention in Ancient Egypt and its Manifestation (bAw)’, in R.J. Demaree, And Janssen, J.J. (ed. ), Gleanings from Deir el-Medina; Leiden: Nederlands Instituut voor het Nabije Oosten, 1-70. Last week I took a week off from Liverpool and went away to Paris for a few days ( thanks to Alex- she bought me the tickets for christmas), a brilliant idea and a deserved break I think. As we set off, the majority of Europe was experiencing what might likely be called “a cold snap”, the canals were freezing in Amsterdam, snow was falling on London and a few cities further east like Budapest and Sarejevo were shut down completely. So a nice warm time to visit. However, if anything the cold weather just allowed us to get to places quicker and without the customary long queues usually present at the city’s favourite attractions. So heres a bit about what Alex and I learnt in the City of Lights. 1) The Louvre is very easy to get lost in and lose track of time in. 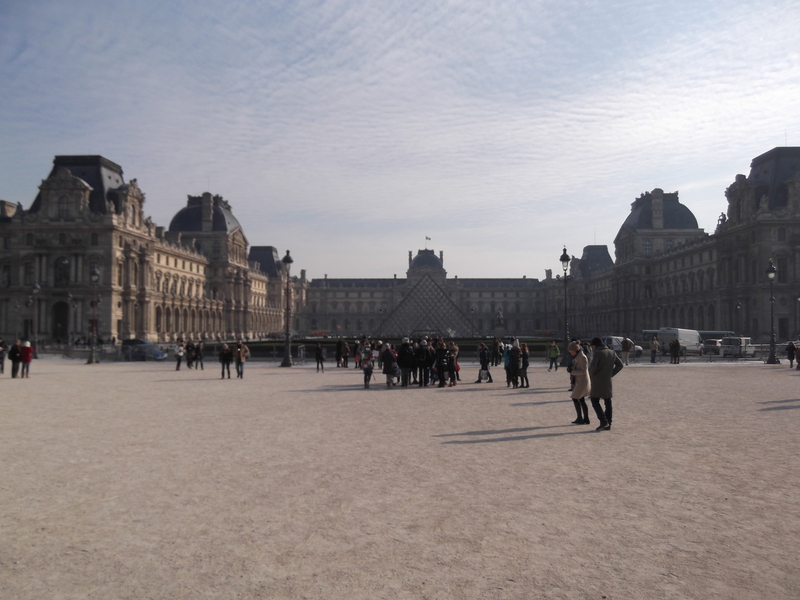 We visited The Louvre during their late opening hours on Wednesday and went back for seconds on Thursday. 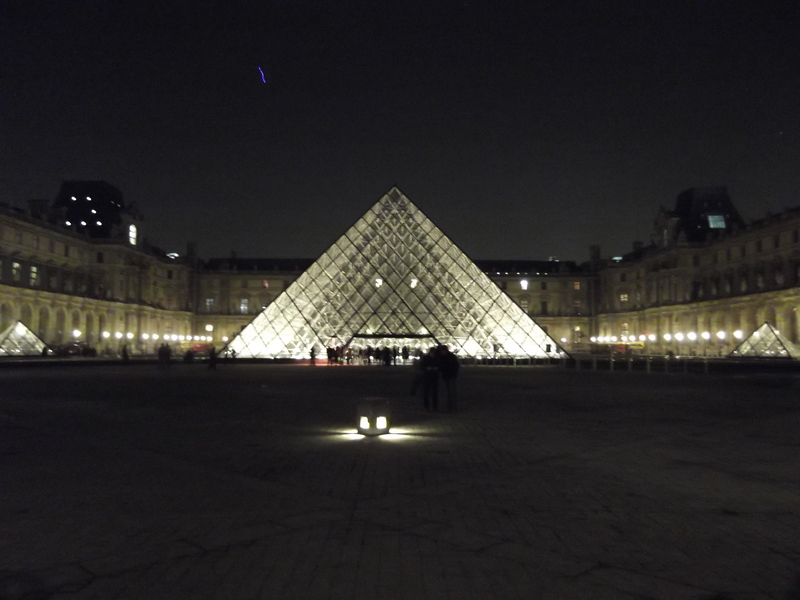 I can highly recommend going during these late hours as you get to see the pyramid lit up fantastically, it also means that you can get up close to some of the more popular objects such as La joconde (the mona lisa), the venus de milo, and lots of the more popular paintings for large groups to view. We visited these works as well as other amazing artefacts such as the Hammurabi Code and Napoleon III’s appartments- I shall be decorating my flat in a similar decadant fashion! 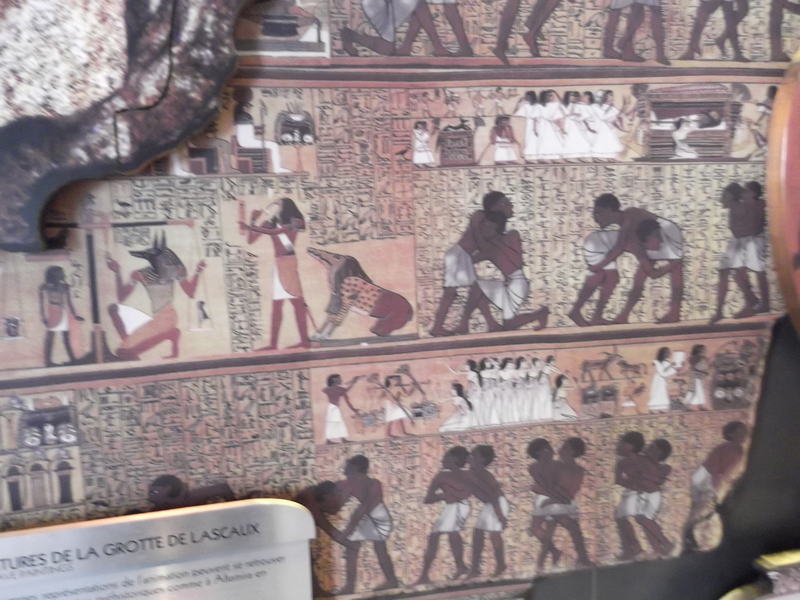 The Egyptian collection of the Louvre is fantastic, the collection was built up (on top of the existing royal collection) firstly by Napoleon as a result of his expedition to egypt- which resulted in the production of Description de l’Egypte. As such, one wing of the Louvre is named Denon after Vivant Denon, the first director of the Louvre- who is buried in the Pere Lachaise cemetary not too far away. The collection was then expanded under the orders of Charles X, this included acquisitions from Auguste Mariette, Bernadino Drovetti, Andre Durand and Henry Salt. So there is a great variety of artefacts from a wide period of Egyptian History. (Sadly on this visit the Coptic Gallery was closed for refurbishment). The collection is split into two galleries- a thematic and a chronological. It is amazing and as such it is difficult to describe all of it, I will write a few shorter blogs in the future about some of the collection. As always it is difficult when looking at so many pieces to spot the one object that you know to be housed within the museum you are in, after all it may be in storage at the time anyway. 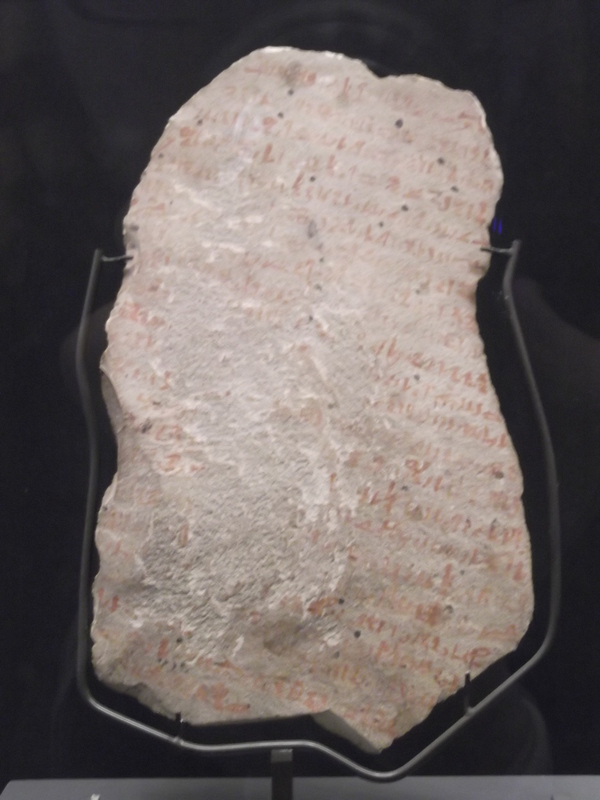 So on our way to find the exit, which is always easier said than done in the Louvre which has a Labyrinthine nature to it, I saw a small Ostracon in a cabinet marked “Magie” so I bent down to look at it. It was in fact O. Louvre 698- A Letter to the Dead written by Butehamun. This formed a large part of my MA thesis, I have never seen a photograph of this object, there is none published! So despite there being many other pictures from the Louvre, this is the one I have chosen to show here. Not only because I have a bit of a personal attachment to it but also because this small artefact was walked past by most people and its content is amazing! Again a future blog WILL be on this artefact, I promise. This is the view of the Place de la Concorde from the end of Rue de Rivoli. The obelisk is around 3000 years older than the EIffel Tower(Dating to the reign of Ramesses II), and used to stand at the pylon of the Luxor temple. 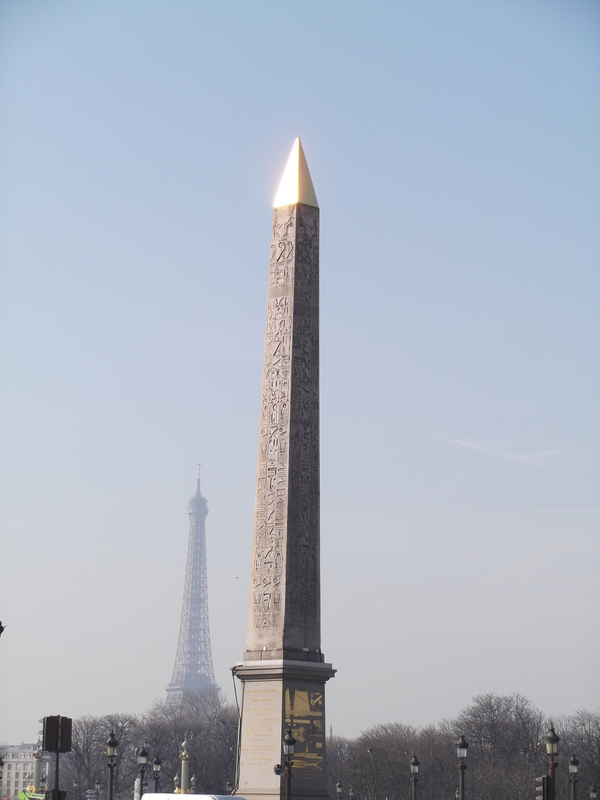 If you walk up to the obelisk, you also get a view through Le Jardin de Tuileries to the Louvre, and in the opposite direction down the Champs Elysees to the Arc de Triomphe (which has some reliefs of Napoleon’s Egyptian Expedition high up as well). It was in a small attraction about the art of animation. It seems to be an unusual composite of the Ani Book of the Dead kept at the British Museum and the Beni Hasan Wrestling reliefs in the tomb of Baket III. I may be wrong, but it is unusual none the less. Sadly, I didn’t get chance to ask Mickey Mouse about his views on the current state in Egypt.